Just to the north of Mound 1, the Patrick Map shows Mound 2 as elongated with a northwest southwest axis. His drawing suggests that it had a tear-drop shape, rounded at the southeast end and pointed at the northwest end. 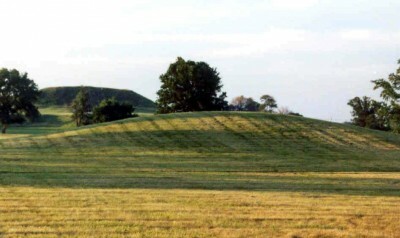 The mound is shown as almost twice as large as Mound 1. The shape of Mound 2 is unique. Only Mound 52 shows any similarity in shape to Mound 2, but Mound 52 has its narrow end to the south and the wider end to the north. On the UWM Map, this mound is not indicated by a distinct contour. The base of the mound is approximately 128 meters above sea level (419.9 feet above sea level) and at its highest point is 128.7 meters (422.2 feet) or 0.7 meters (2.3 feet) high. There was a house located on the northern boundary of what must have been Mound 2, and the UWM Map suggests a shape similar to Mound 1, that is, square and flat-topped. There are two possible explanations for the dissimilarity between the Patrick Map and Mound 2’s modern appearance One, the shape of Mound 2 may have been modified greatly since Patrick’s time. Two, some other nearby mound is the Mound 2 indicated on the Patrick Map. The 1933 Dache Reeves aerial photos do show what may be an oblong form north of Mound 2; the longer axis runs northwest-southeast parallel to Canteen Creek. This second alternative, however, is not supported by the USGS maps, which do not indicate any other mound in the immediate area of Mounds 1 and 2. The locations of those two mounds on the USGS maps is very close to those indicated on the Patrick Map. 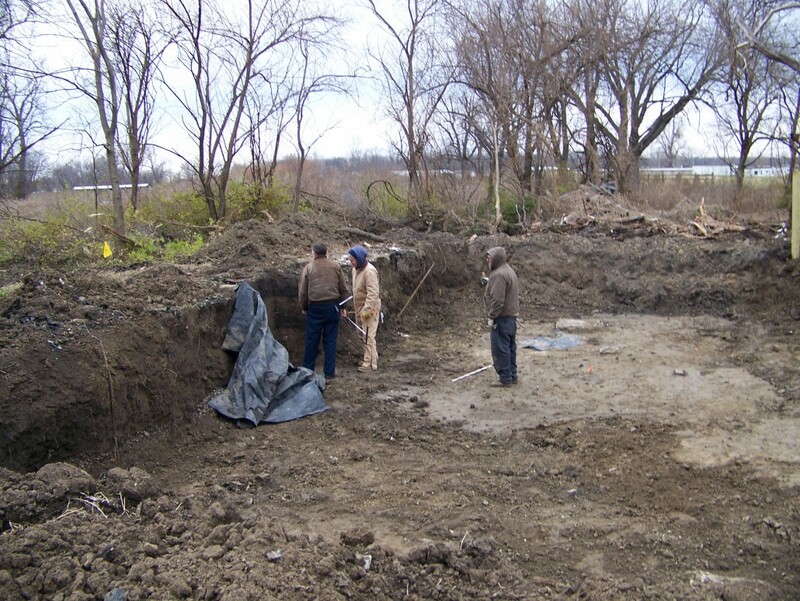 No reported excavations have been conducted in Mound 2.